This is a guest post by Calum Maclean. Many of you will remember Calum from his 17 years in the hotel business or his work at Clean the World. 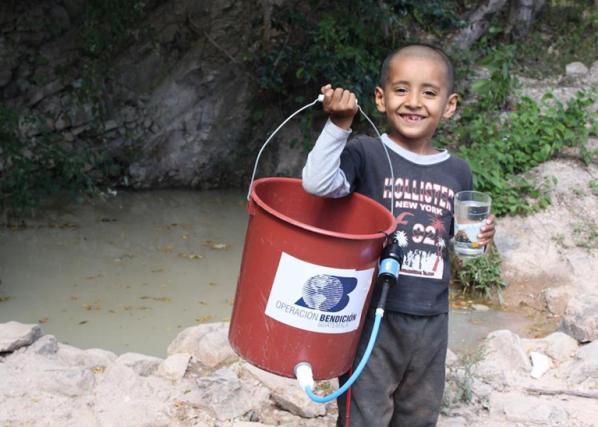 He has gone on to try and make a difference by providing clean water to those in need with www.sawyersaves.com You can contact him directly at calum@sawyer.com or 630-881-1066. As a meeting planner you are committed to delivering an outstanding event. From the perfect location, F&B choices, natural light in the room, vetting the speakers, giving people enough downtime during the event, the list is endless. Then there is the green or CSR component… As if there was not enough to do you now have to save the planet and everyone on it as well. It is an overwhelming balancing act, yet you somehow have to pull it off on time and on budget. Mission Impossible??? Not for a pro planner like you but it can take a pretty heavy toll on your resources and sanity. So, this post is going to do a lot of the heavy lifting for you and show you an easy way to add a CSR component to your event that will instill in your attendees a level of pride in your company or organization that is usually extremely difficult or expensive to do. Your organization can easily give life saving, clean water to people in one of 17 countries and to provide social proof for your audience, the people that you help are going to personally thank your organization at the event. 30 days prior to your conference or event, our teams distribute clean water systems to families in need, systems that have been made possible by the kindness of your organization. These water systems will forever change the course of events in these areas where infant mortality rates are the worst in the world. The clean water teams will distribute the filters to families, conduct training on proper sanitation practices, explain how the filter works and how to care for the filter so that the families, mothers and even young children can now have a fighting chance at the future that you and I take for granted. Once the training has been completed, the clean water team will take a photo of the family holding up a sign that says “Thank You for clean water” or another special message that you would like. Since these photos will arrive to you 15 days before your program takes place, you can add them to slide shows or videos for showing at the event. The clean water team will mark each location using a GPS device and will return 6 months later to do a follow up visit. They will make sure the family is thriving and conduct additional training if needed. They do this so that the people that receive your help have the ability to use that help to change the course of their future. These follow ups are important and necessary and add a wonderful human interest element to any follow ups that you have for your attendees. You can show them how they are changing lives and the course of human events. Skeptical of this?? I would hope so. This is a short video of a couple in Kenya that explains how one filter and $65 was able to stop 10 children from dying each month in their village. This video is of an organization using the filters in Haiti. You only need to watch the first 30 seconds to feel the full impact. The Haiti video was filmed in a location where infant mortality is #1 in the Western hemisphere, the worst. There is no running water. 100% of the water is taken from hand dug wells and 100% of it is infected with Cholera, dysentery and other nasty stuff. The moms are malnourished and can’t make enough breast milk for their babies so they do the smart thing and supplement with the use of formula. These mothers are unable to do anything about the water they are mixing it with however. This water contains bacteria which causes sickness and death. Here is one more in the mountains of Peru. As you can see this is a worldwide effort and once these filters get there, people stop dying. OK, so the filter works and you want to do this, but how do you pay for it without breaking your budget??? The cost is not astronomical. 10 filter systems delivered and photos of 10 happy smiling “safe” families getting clean water for 10 years is $650. That is all… only $650 dollars to change the lives of 10 families for a decade. Here are four ways to add this to your event. Simply ask the meeting sponsor to add this to the program as the CSR component. Add a donate $1, $5 or $10 button for clean water to the registration page. Ask your vendors or exhibitors to pick up one or more systems each. We will highlight their company on the message the family holds up thanking them for clean water so they are properly recognized for their commitment. You can negotiate a percentage of the master to go towards this effort to provide people clean water and although this means you are still absorbing the cost, the reaction of your attendees when they see what their company is a part of will be priceless. Play one of the above videos, you have permission, just have Kleenex handy. 29 days prior to your attendees arriving at the meeting families will start receiving a simple system that will give them clean water for at least 10 years. It will give their children a chance to grow up and change their own lives for the better. This is affordable, personal, accountable and has a massive and immediate impact. You can find out more about the filter at www.sawyersaves.com and see sample photos on Facebook. We have people on the ground in 17 countries ready to go to work for you. You just have to make the decision that one of your upcoming programs has the power to change the world. Child Watergun Image: UNICEF, all other images – Sawyer.